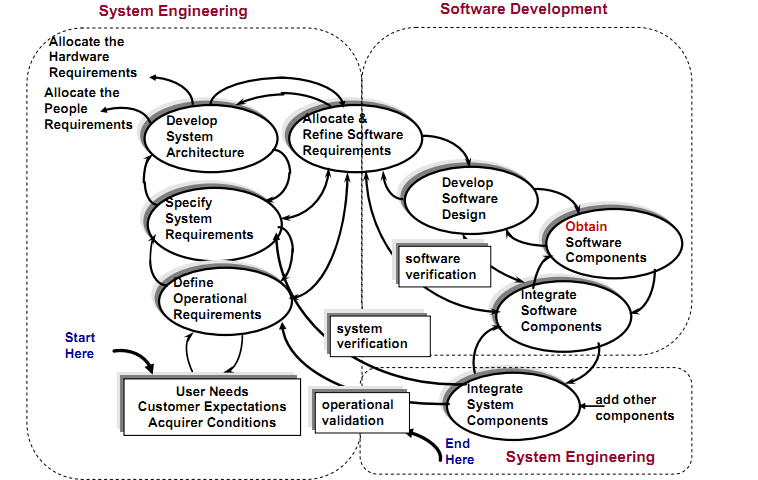 A software requirements specification (SRS) is a technical requirement document that describes in detail the externally visible characteristics of a software. A SRS is not the same as a statement of user needs OR ‘Requirement docs’. The SRS says what the product will be. The SRS can include Plain English text, structured text, diagrams, tables,rules, etc. Environmental requirements: OS, platform, interoperability, standards, etc. 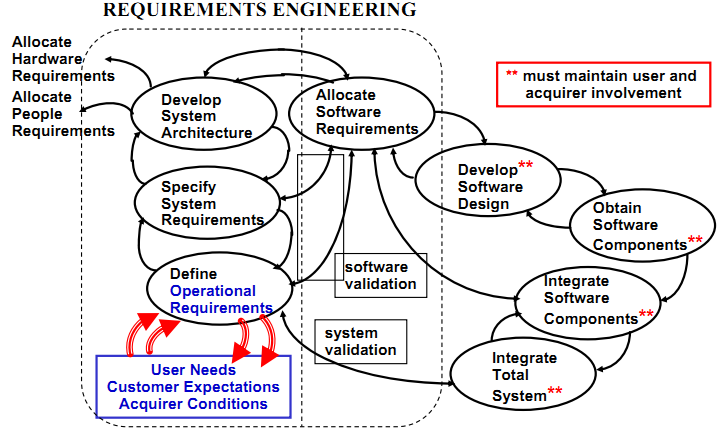 Non-functional requirements: security, usability, efficiency, etc. A design document explains the implementation that will satisfy the requirements of the SRS. What is the Difference Between SRS and Design? The SRS describes precisely what the system will do. Customers should be able to review SRS and help validate it. 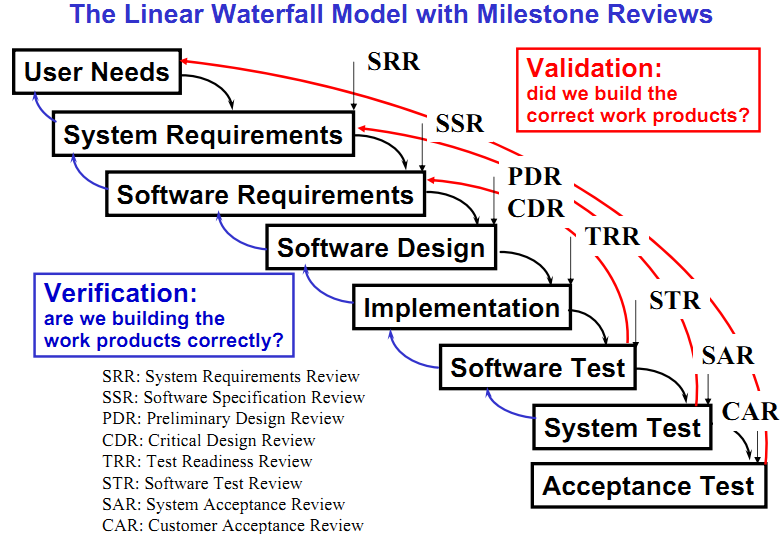 Validation of requirements means checking the written requirements against reality! 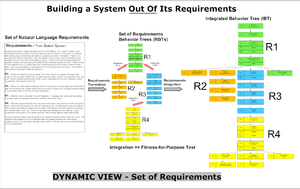 Design outlines how the system will work. Usually development team needs to review the design. Both SRS and Technical Design documents are technical documents that need to be precise. Both need to be reviewed by stakeholders and defects must be corrected. Correct: Incorrect requirements will lead to major rework and reduced revenue. Complete: Incomplete requirements also leads to major rework and last-minute schedule changes. The specification should not bias the design or implementation. Don’t get ahead of yourself, you will do design later, this is very important, and make sure you understand this! You may come up with better ideas for the design later but you should NEVER change the SRS unless your goals for the product change. What is Requirement Tracebility Matrix? Today Let’s talk about the requirements traceability matrix in a bit detail? Please realize that traceability matrix is among the few very important component associated with CMMi process areas. What is Vertical and Horizontal Requirement Tracebility Matrix? Requirements traceability is the ability to relate your requirements with one another and with aspects of other project artifacts. The primary goal for RTM is to ensure that all of the requirements identified by your stakeholders have been met and validated. I personally feel that RTM is a great idea in quite a few situations. 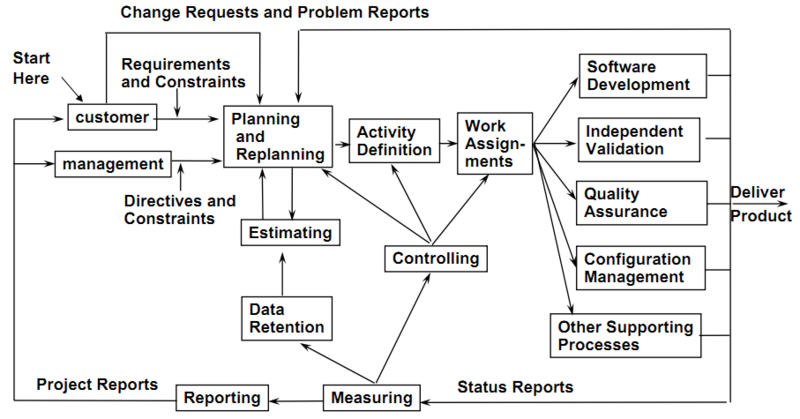 Vertical traceability is an aspect which identifies the origin of requirements (for example, customer needs) and follows these requirements as they evolve through your project artifacts, typically from requirements to design, to the source code with the help of which you implement the design, and then the test cases / test plan that validate the requirements. Horizontal traceability identifies relationships among similar items, such as between requirements itself. This enables us to anticipate major problems, such as assuming two subteams implementing the same requirement in two different components. To understand this better,lets take a very easy example for creating a ‘Single-Sign-On’ functionality. the requirement here remains similar but you implement it across various platforms.Hence a traceability is often maintained bidirectionally: You should be able to trace from your requirements to your tests and from your tests back to your requirements. In short and simple words if a requirement or any work product changes and it will affect some other work product, potentially affecting the value you deliver, then it’s probably something that should be part of requirement traceability matrix. All right, so this is it for learning, and now is the time for all of us to understand and see the implementation in real world. The theme is based on ‘How do you do it’? Let’s get started, believe me this is going to be a fun ride and the knowledge you all will have by the end of 10 days goes beyond your imagination! Problem you should solve – Requirements are managed and inconsistencies with project plans and work products are identified! Objective should be – Your objective here is to explicitly ask your requirement owners about the meaning of each and every requirement they come up with! Please describe how project personnel develop and understanding of the requirement? Do you also interact with requirement providers? Problem you should solve – Obtain commitment to the requirements from the project participants! Objective should be – You should surely have the documented evidence! How do you obtain the commitments to the requirements from the resources associated with projects? Do you review / approve the requirements? Requirements change request logs, with commitment (e.g., emails) and estimates of impact (e.g: functionality impact, interface impact, design impact, validation impact etc…). How the changes to the requirements are managed? Whenever a change happens how do you manage that change? How do you assess the changes? 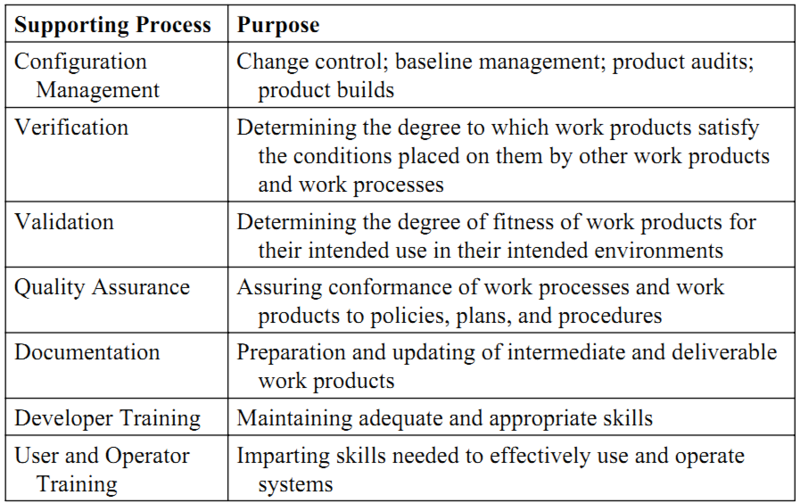 Revisions to work products resulting from changed requirements. 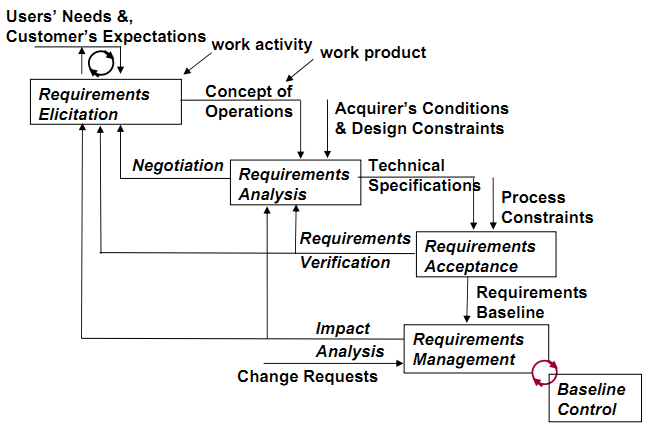 Much of requirements management is change management. Tracking the status of project change requests is an eye-opener: how many of them are open and how many closed? How many requests were approved and how many rejected? How much effort was spent implementing each approved change? You should have answer of all these, and the above mentioned document should give you proper answers on these. How do you maintain the traceability between your requirements, plan, and work products? How do you identify the inconsistency between the project plan and the requirements that you have identified? 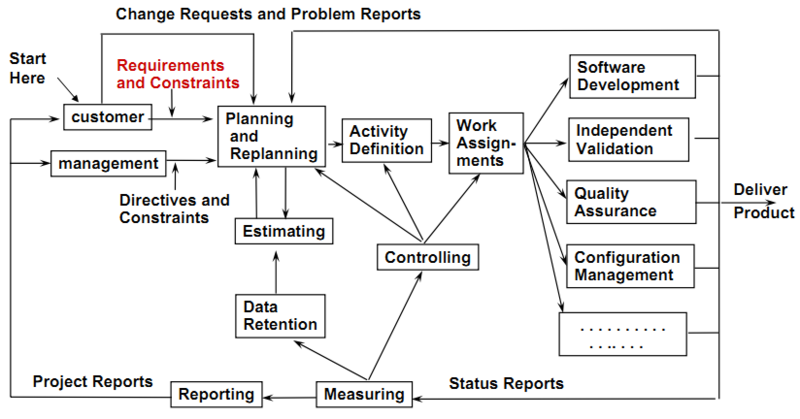 Documentation which identifies that there is inconsistency between the project plan / work product / requirements. CCB meeting which identifies that this change has a resource available. This should be good for now…will come up with another process area which will be RD tomorrow 🙂 Cheers!